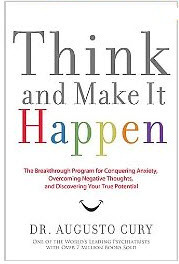 Dr. Cury’s book, Think and Make It Happen, provides twelve principles for “developing your extraordinary mind” to “gain the happiness you seek, and achieve maximum impact in the world around you.” Jesus is given as our model–a uniquely qualified mentor and the ultimate author of His own life (Principle #1). I was immediately attracted to Dr. Cury’s emphasis on the people skills of Jesus. No one dealt with difficult people better than He. Recognizing Jesus’ use of silence, the pregnant pause, and questions, (often in a hostile environment), Cury applauds Jesus’ wisdom and mastery of self control. Dr. Cury’s wish to separate Jesus the man from Jesus as God is unsettling. It is impossible, in this writer’s view, to separate the deity of Christ from His humanity. Cury appears to try to diminish Jesus in order to appease those with “any form of belief, including atheism.” Most Christians attempt to emulate Jesus, and His character, with the full knowledge that He, as God, was sinless, and we are not. Jesus did not leave us discouraged in that knowledge. His Word provides us with ample examples of men and women who sought to live as Christ lived, and fell short of the mark. His outstreached arms and loving heart were much like a parent assisting a child in taking their first steps. There is no doubt the child will fall. The child has no doubt that the parent will help them up. Contemplate Beauty, Unleash Creativity, and Turn Life into a Celebration (Principles 7, 8 and 12) are worthy and notable pursuits. Although not new concepts, Cury encourages the rediscovery of the senses to experience beauty and the element of surprise to set up creative moments. 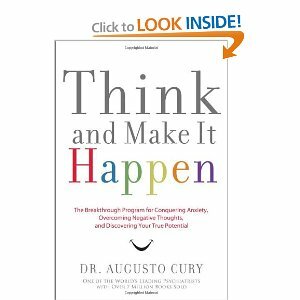 Cury recommends turning life into a celebration by rescuing lost dreams and establishing strategies to celebrate life. Overall, I felt Dr. Cury’s book would have been more effective if there had been less psychiatric “jargon.” This book could have been a more enlightening and entertaining read if he had expanded his coverage of the character of Jesus, and the relationship skills He demonstrated. Jesus is the only role model needed when looking for the perfect man to handle imperfect situations. It would also have been an advantage to further compare the disparity of our interactions with man versus humanity’s interactions with the Son of Man.